Chiang Mai is one of the top destinations in Southeast Asia, and it’s easy to see why. This northern city is the cultural hub and heart of Thailand. Tourists and locals alike can easily get their daily dosage of amazing eats and spectacular sights without even trying. 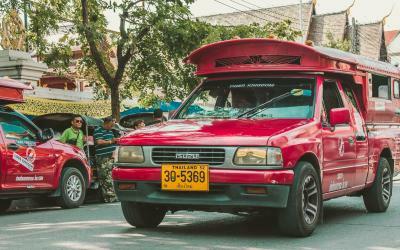 It’s easy enough to wander around and find something to do, but we’ve created a guide to help you find the absolute best things to do in Chiang Mai. 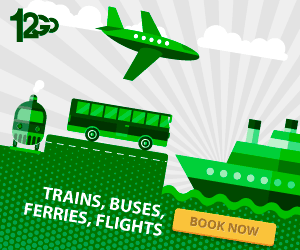 Get ready to explore all that is wonderful and unique in this epic city! 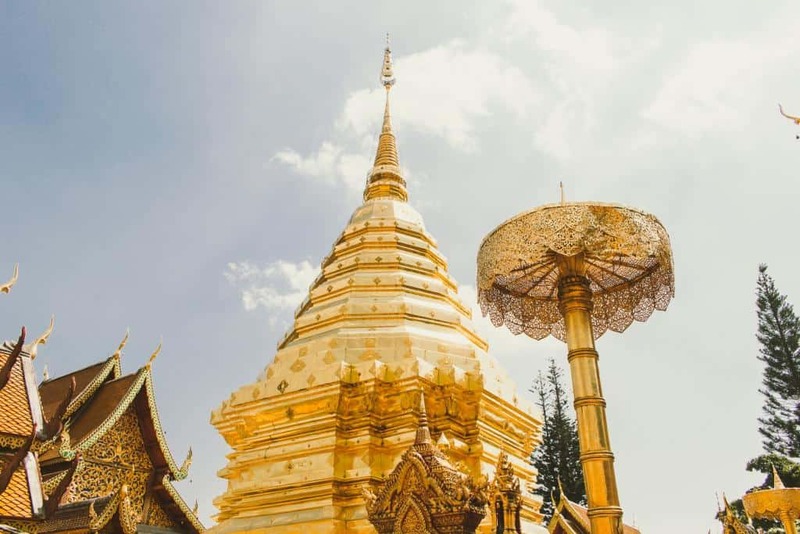 On top of Doi Suthep Montain is one of the most sacred temples in northern Thailand, Wat Phra That Doi Suthep. Climb the 309 steps up to the temple and admire the intricately carved Naga staircase. Established in 1383, this monastery is said to be home to an important Buddha relic. As soon as you walk into the temple, you’ll enter a world doused in gold. The glimmering Buddhas, parasols, and pagodas that surround you will leave you in awe. Wander around the temple and find the famous Emerald Buddha and the white elephant shrine. If you have time to explore more of Doi Suthep, be sure to check out some of the wildlife and waterfalls this mountain is known for. Make sure you’re dressed conservatively. Women should have their knees and shoulders covered. If you aren’t appropriately dressed, there’s cheap rental garb outside the temple. People often associate the south of Thailand with partying and the north with culture. While there’s a lot of truth to this, don’t be mistaken; they know how to party in the north as well. Case in point: Zoe in Yellow. 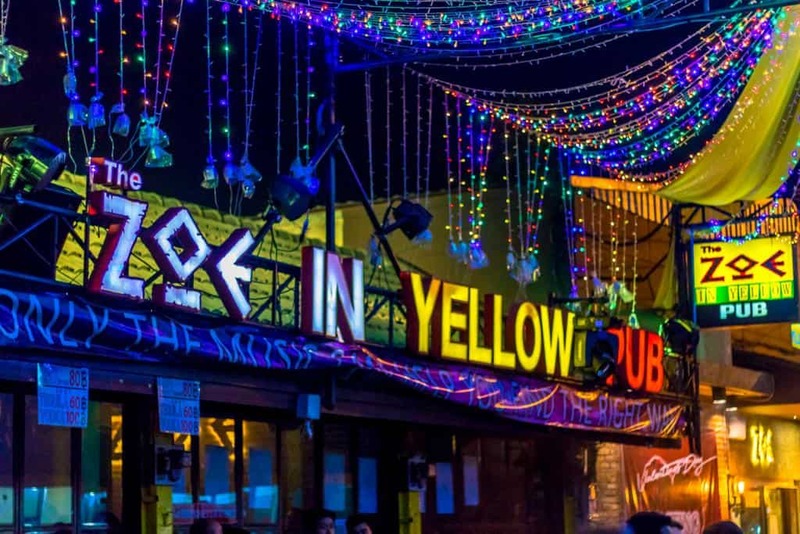 Located in the north-eastern corner of the old city, Zoe is a backpacker staple. Dance your face off on the dance floor, or chill out in the garden where there are dozens of tables to socialize with new friends. If the chart-toppers at Zoe aren’t your style, head to one of the bars next door for a different vibe. Check their Facebook page to see what events they have going on, as they’re always looking for an excuse to party harder than usual. 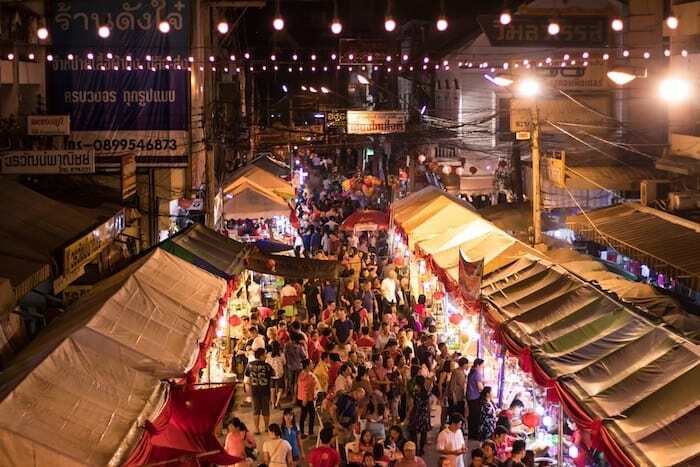 Whatever you’re looking for, the night markets of Chiang Mai will probably have it. Elephant pants and Chang beer tank top to fit the backpacker stereotype: check. Fruit stand making fresh smoothies: check. ฿50 pad Thai: check, check (obvs getting seconds). Kitschy, handmade trinkets for every person in your extended family: probably a bad idea but … check. 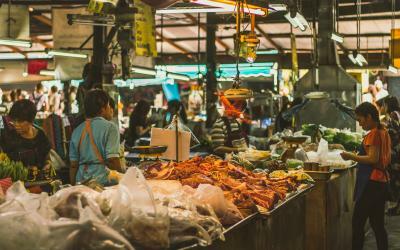 Even if you’re not one for shopping, browsing the markets of Chiang Mai is an adventure in itself. Not only can you find your dinner on the cheap, but you can discover local artisans and enjoy some live music. Our favorite market is the Sunday Night Market, boasting tons of stalls selling handcrafted goods. For some cheap local cuisine, feast at the Chang Puak market. 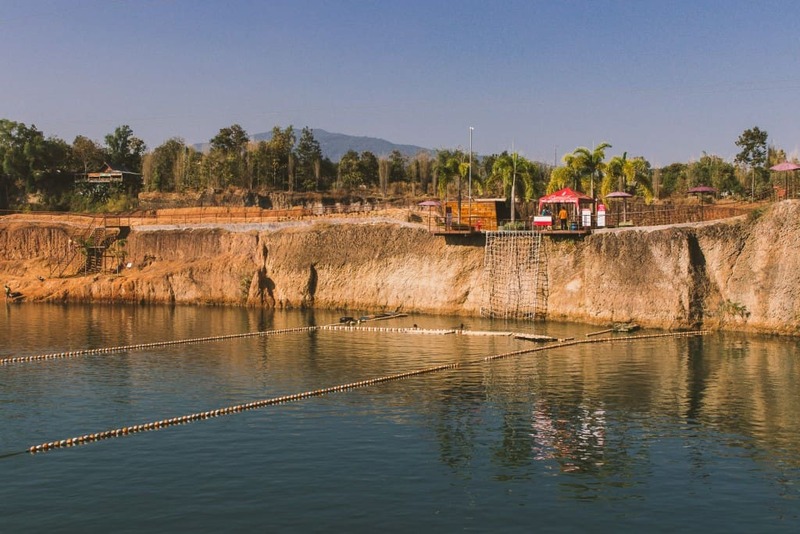 Just twenty minutes outside the old city lies Huay Tung Tao Lake, a man-made reservoir, and the perfect escape. Tiny, family-owned restaurants dot the lake, where you can relax in a floating hut while feasting on fresh fish and Changs (Thailand’s well-known beer). Take a dip in the lake, befriend the Thai family from the next hut over, or find solace in the peacefulness of your surroundings. If you fancy a bit of a workout, you can cycle around the lake or rent a swan-shaped boat to paddle around. A trip to Huay Tung Tao is a fantastic way to kick back and chill like a local. Coffee lovers will find a second home in Chiang Mai, as this city is overflowing with cafes and coffee shops. 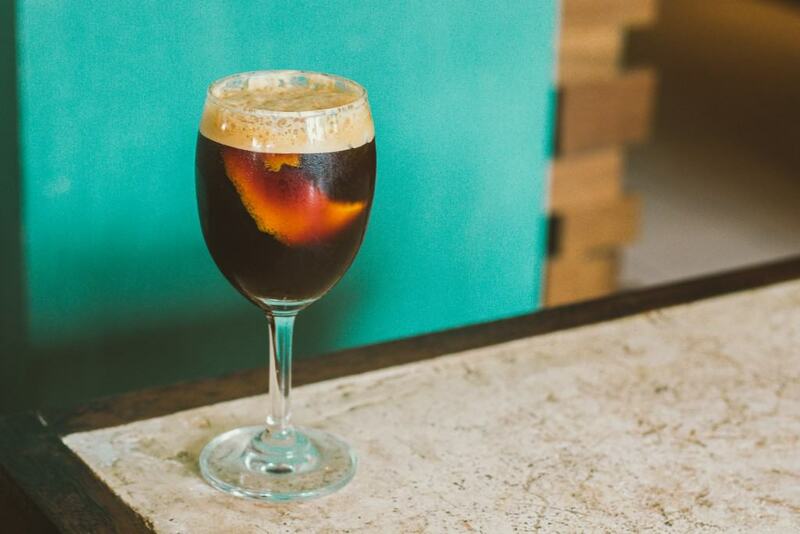 The mountains of northern Thailand have an ideal climate for growing coffee, which means you’ll be sipping on espressos and lattes from locally sourced beans. The cafes in this town match the chilled out vibes of Chiang Mai, and you’ll probably find yourself spending more time in these coffee shops than you originally intended. 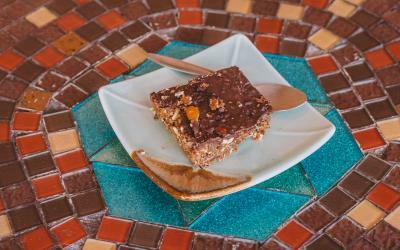 Not only are they serving up some delicious cups of joe, but most of these cafes have unique and eclectic themes. Drink coffee out of a skull-shaped glass or enjoy your beverage while admiring antiques. For more, check out our list of the best cafes in Chiang Mai. Backpackers in Chiang Mai will quickly notice how unbearably hot this city can get. Being quite far from the coast means travelers will have to find a way to cool down. Luckily, Chiang Mai has got plenty of waterfalls to choose from. 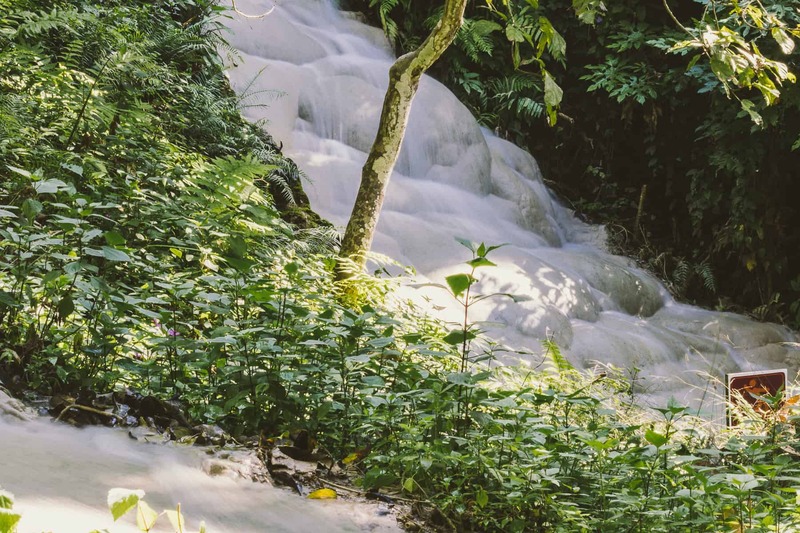 Our favorite is the Sticky Waterfalls, or Bua Tong Waterfalls. 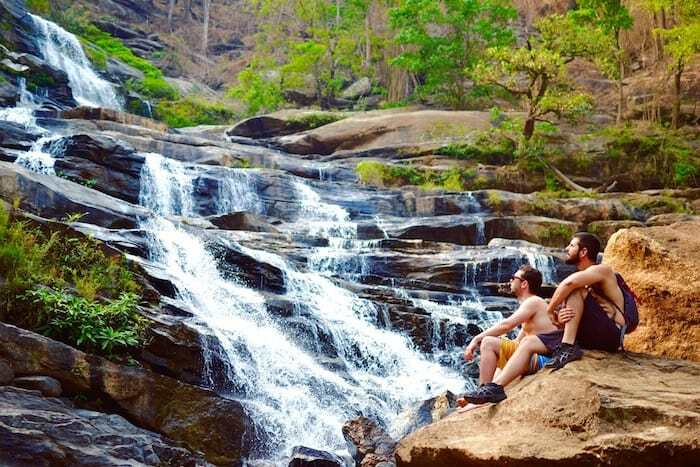 These unique falls are easy to walk on and climb, due to mineral deposits creating a porous and grippy surface. There are multiple tiers where you can relax on the bulbous rocks and escape the heat. For the adventurous, take the stairs all the way to the bottom and make your ascent on the waterfalls themselves. There are ropes to help you at the steep areas but for the most part, the climb is easy and pleasant. 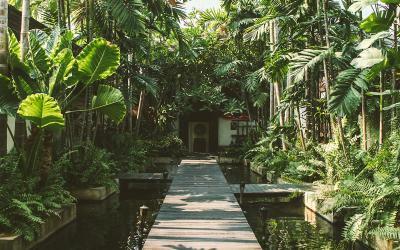 Surrounded by the lush Thai jungles, this day trip is the perfect escape from the city. About 70 kilometers north of the old city lies Chiang Dao Cave. This cave complex contains over 100 caves and extends about 10-12 kilometers inside the mountains of Chiang Dao National Park. Visitors will climb up a staircase to the mouth of the cave and descend into two dimly lit caverns where one can explore on their own. Tham Seua Dao and Tham Phra Nawn are home to many Buddha statues and shrines. 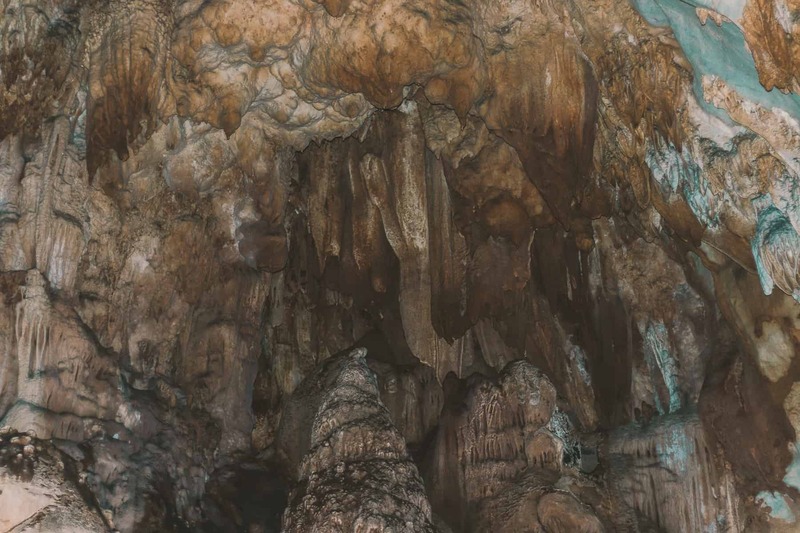 If you’d like to explore more of these caves, you can hire a guide for ฿100, plus an additional ฿100 for a gas lantern. They can lead you 500 meters underground through the narrow passageways that weave around large stalagmites and stalactites. Save some time to check out other parts of the national park where you can find peaceful ponds, nature trails, and gorgeous views. If you’re into epic views and waterfalls, Doi Inthanon National Park is the place to be. 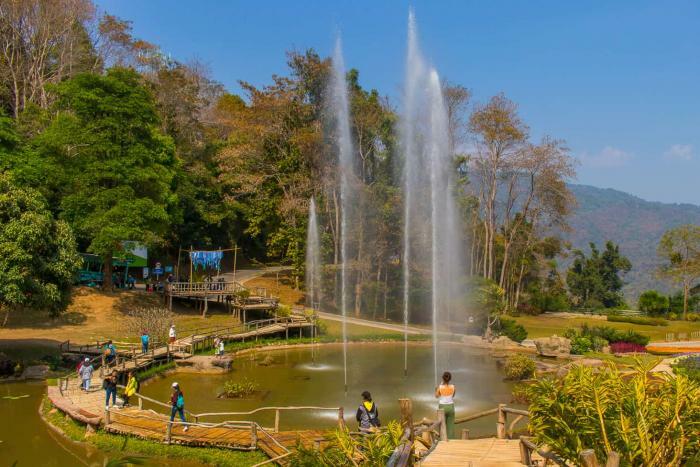 This massive 482 square kilometer park is actually an extension of the Himalayan mountain range and reaches heights of over 2,500 meters, making it the highest point in Thailand. 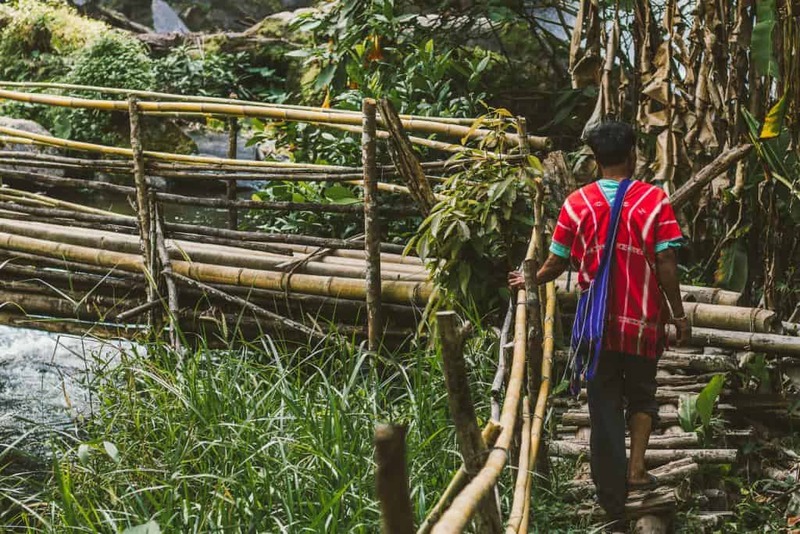 Hike the Kew Mae Pan Nature Trail, one of Thailand’s most beautiful treks with the best views, or wander through the moss-covered Ang Ka Luang Nature Trail, resembling an enchanted forest. 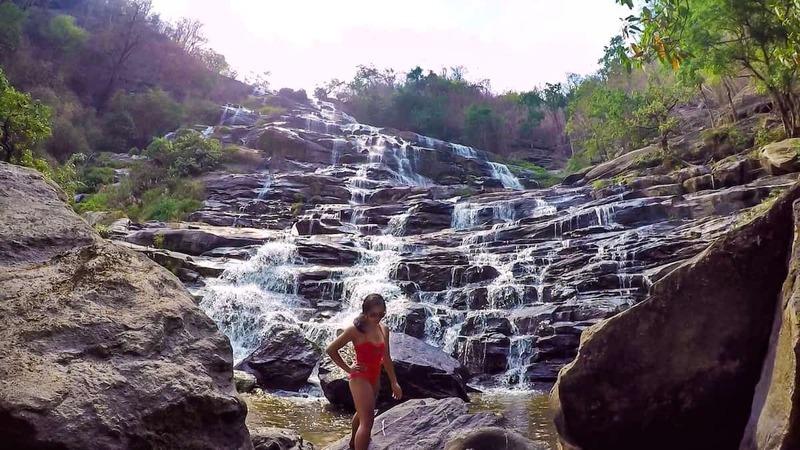 For those wanting a more mellow day, visit the famous Royal Pagodas, or cool off at one of the biggest and most beautiful waterfalls in Thailand, Mae Ya Waterfall. With cooler temperatures and stunning views, the steep entrance price of ฿300 per person is definitely worth it to admire the beauty this park has to offer. Vegetarians and vegans will be thrilled to discover that Chiang Mai is home to a thriving veggie culture. Cafes and restaurants offering meat-free breakfast, lunch, dinner, and dessert line the streets of this city. For some delicious eats that support a language and arts school for Burmese refugees, dine at Free Bird Cafe. Travelers on a budget can eat as much as they want at the affordable Aum Vegetarian, and for those that miss meat, you can try some faux-meat goodies at Taste of Heaven (hello meat-less bacon and sausage!) 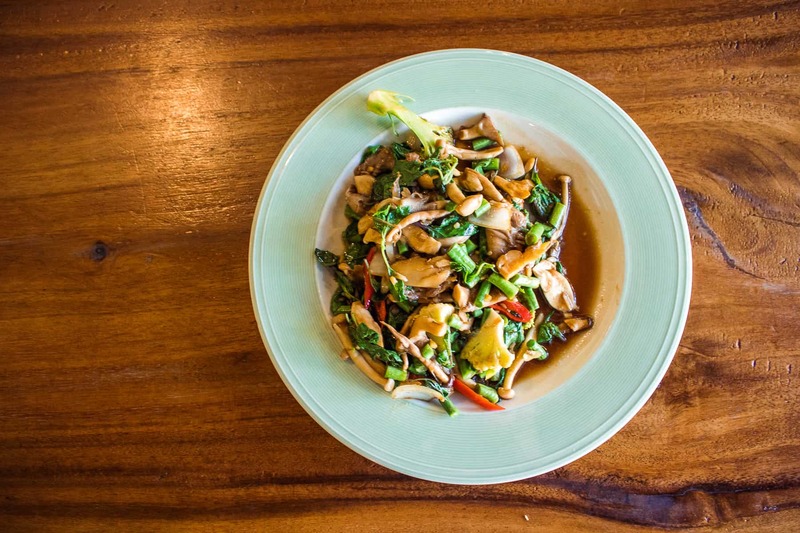 The options in Chiang Mai are endless and you can find all of our favorite vegetarian and vegan restaurants here. If you had to choose one time during the year to visit Chiang Mai, make it mid-April. Songkran, or Thai New Year, happens to fall on the hottest time of year, prompting a country-wide water fight to celebrate. 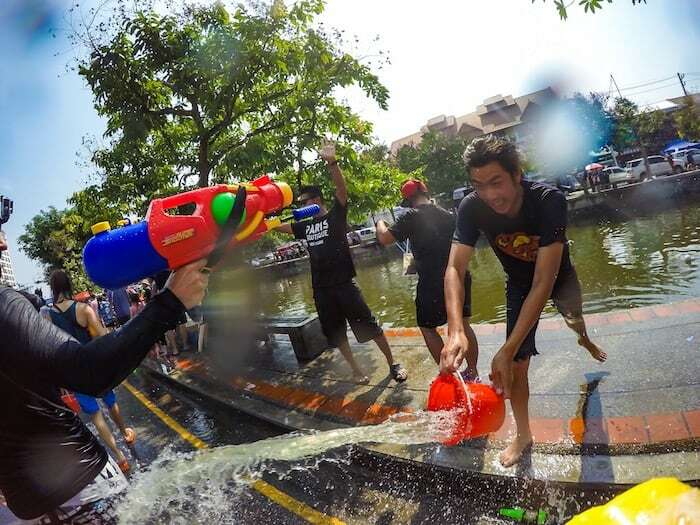 From April 13th to the 15th, locals and tourists alike partake in the fiercest and most fun water battle on the streets of Thailand. 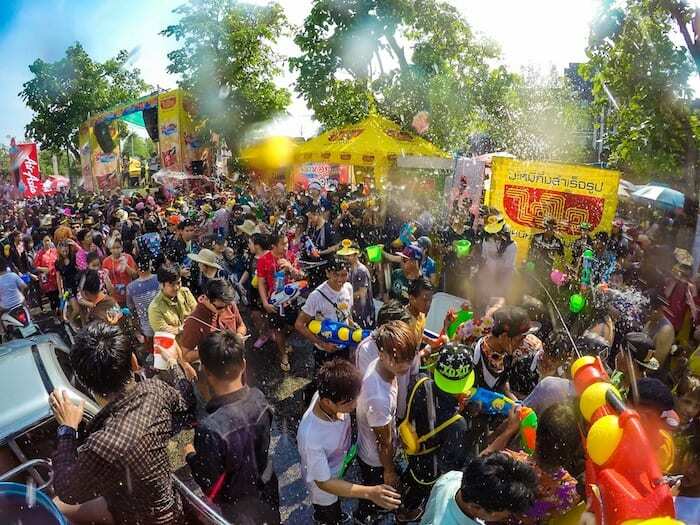 Join the crowds in Chiang Mai as hoards of families and travelers parade around the old city walls wielding water guns, buckets and hoses. Make sure to plan your arrival and departure times outside of these dates, as you’ll receive zero sympathy from festival-goers and will no doubt be soaked within minutes of being outside. Prepare for the time of your life, this festival will easily be the highlight of your Southeast Asian trip. 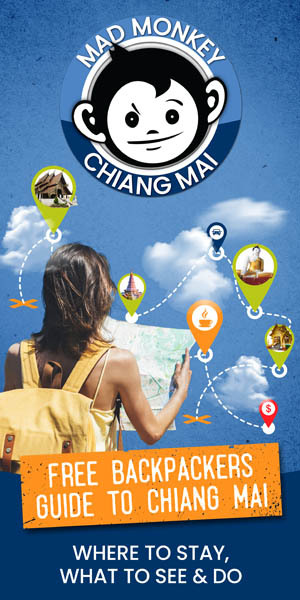 Make sure to book your flights and accommodation in Chiang Mai early if you plan on being here for Songkran. The city fills up fast this time of year so book at least a couple months in advance! Dress appropriately: tourists should still dress modestly (shirts and shorts over swimsuits) as Songkran is a religious holiday. What started as pouring water as a symbol of cleansing yourself for the coming year, transformed into a nation-wide party. Thai people still observe the old traditions but have added the festivities as a bonus. Prepare to get wet because everything on you will get absolutely drenched. This is no exaggeration so test your waterproof gear in advance! Temples are around every corner of this beautiful city. Over 90 percent of Thais practice Buddhism, so it’s safe to say that these temples are incredibly important to them. With over 300 wats in Chiang Mai, you could easily spend your entire trip discovering these beauties. However, we recommend making longer trips to a handful of temples to really immerse yourself in the culture. Admire the architecture of these impressive temples, participate in a “monk chat” where you can ask monks any question you’d like, and learn about the significance each temple has to Thai history and its people. 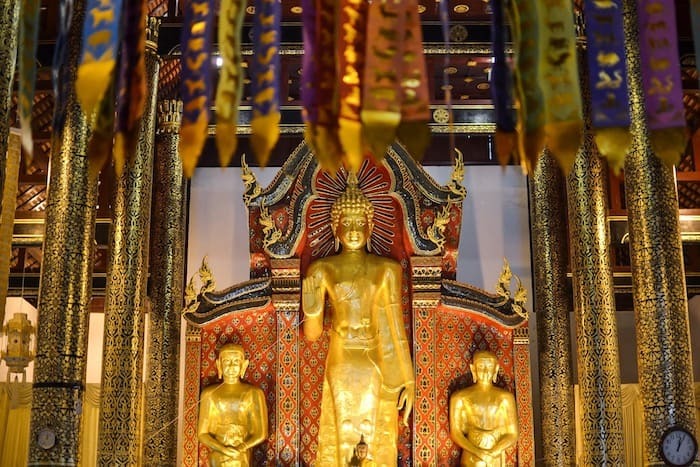 Check out our list of the top temples to visit in Chiang Mai. No need to travel all the way to the States, the Grand Canyon of Chiang Mai is sure to impress you [almost] the same. 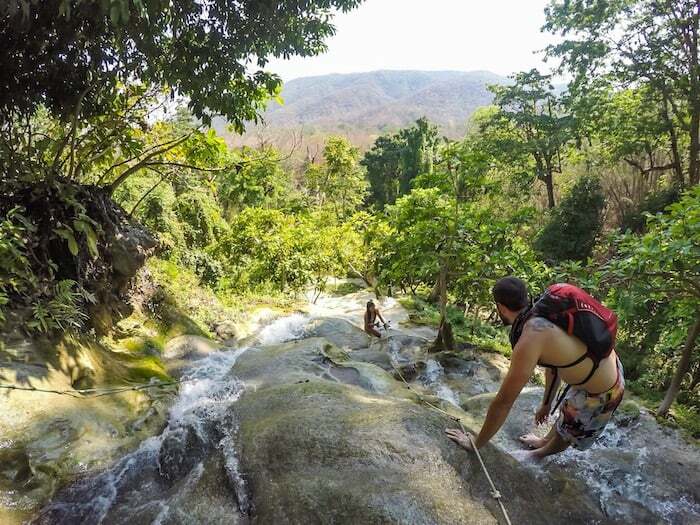 Also known as Hang Dong Canyon, this beautiful area is a lesser-known gem in Chiang Mai. 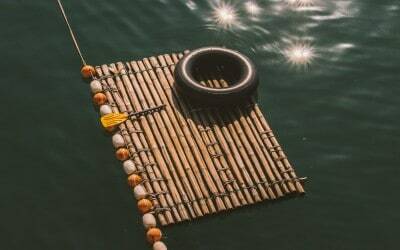 Visitors can swim, cliff jump, sunbathe, or float around in a rented inner tube while sipping on a Chang. Expanding across 48,000 square meters, it’s easy to find a comfortable and quiet spot to soak up the sun. After swimming up an appetite, venture to the cafe and grill. To watch the canyon and waters become even more saturated with color, make sure to stick around for sunset! There are many elephant parks to choose from in Thailand, but Elephant Nature Park is easily the best. 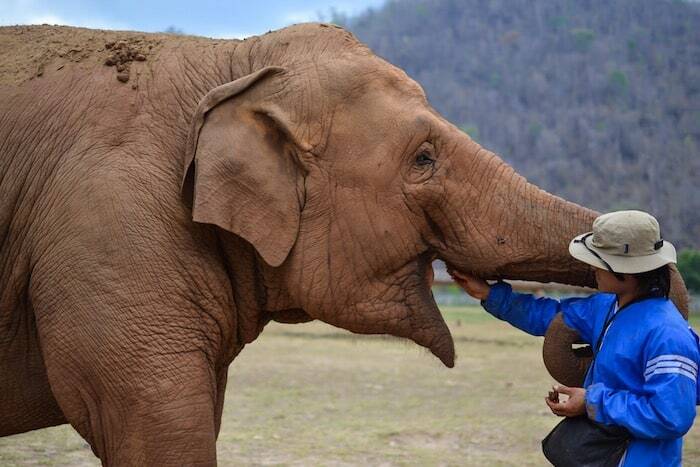 This 250-acre-park is home to over 70 injured and abused elephants from Thailand and Burma. 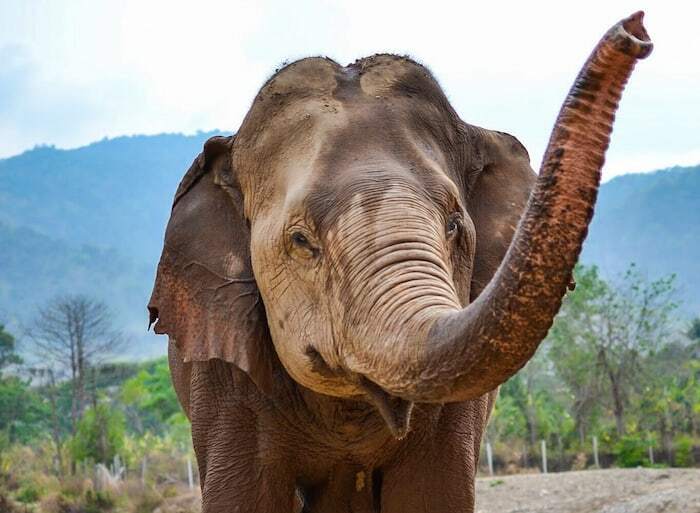 While riding isn’t permitted at this rehabilitation center, visitors will be able to meet dozens of elephants, feed them, bathe them, and help with various projects to help with their overall wellbeing. Volunteer here for two weeks, or just visit for the day. However long you decide to stay, you’ll learn so much about elephants and how we have sadly contributed to their endangerment. Check out our post about volunteering at the Elephant Nature Park for more details. We know this goes without saying, but when in Thailand – get a massage. Get a massage every day if you’d like, nobody is judging you. 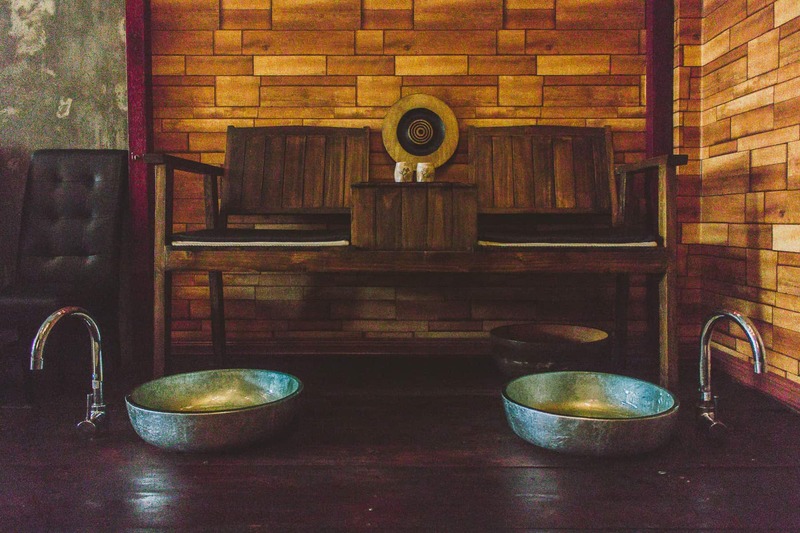 Traditional Thai massages will twist, bend, and stretch you in ways you didn’t know possible. This can be a bit strange and probably painful at first, but once you relax and learn how not to tense up when they go to crack your back, you’ll be in absolute bliss. Getting a Thai massage is an entire experience, from getting your feet washed to feeling the effects hours later when you’re still in a nearly-meditative state. Whether you’re looking for a cheap ฿200 traditional Thai massage, or wanting to indulge in a three-hour treatment, there are tons of spas in Chiang Mai to suit every type of traveler. What better way to experience the famous Thai cuisine than learning how it’s made and cooking it yourself? Thai cooking classes are the perfect souvenir for those running short on space in their bags. You’ll learn about the herbs and spices that go into different Thai dishes, along with how they accomplish the bursting flavors that we all crave. There are a plethora of schools to choose from, some bringing you to markets to pick out the food, others are situated on farms where you’ll harvest your own ingredients. Whether you’re looking to cook up some vegetarian dishes, or if you’re more of the carnivorous type, Chiang Mai will have plenty of schools for every type of traveler. Muay Thai is a self-defense martial art form originating in Thailand. Using eight points of contact — the hands, elbows, knees, and shins — Muay Thai is also referred to as the “Art of Eight Limbs”. Practitioners of Muay Thai are known for their power and efficiency (in other words, they’re super badass). If you’re interested in learning the national sport of Thailand, there are plenty of Muay Thai gyms in Chiang Mai. 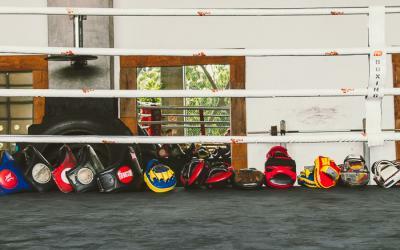 Whether you’re looking for some exercise, wanting to discover a bit more about Thai culture, or attempting to use your body as a weapon, Muay Thai is actually one of the easier sports to learn. Burn over 1,000 calories an hour (real talk) while learning some amazing self defense techniques and sharpening your mind. To jump-start your training, check our our list of the top gyms in Chiang Mai. 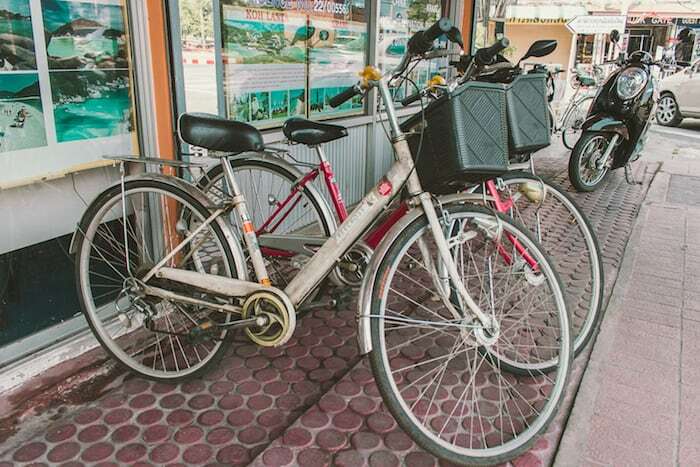 Cycling around Chiang Mai is no doubt, the best way to explore the city. There are dozens of hidden gems around every corner in the northern capital, so opt out of songthaew-ing or Grab-ing everywhere and rent a bicycle. Enjoy the freedom of being able to stop anytime the tantalizing scents of street food reach you, or veer off track when you spot the top of a dizzyingly golden temple. You can find dozens of shops renting out bikes throughout the city, especially along the walls of the old city. Prices are as low as ฿50 a day so you really have no excuse. When Chiang Mai was established as the capital of the Lanna Kingdom in 1296, King Mengrai ordered the construction of a wall and moat to protect the city. After being destroyed and rebuilt numerous times over the last 700 years, five gates still surround the city today between the partially crumbling walls. Each gate holds a different significance to Chiang Mai and its history. 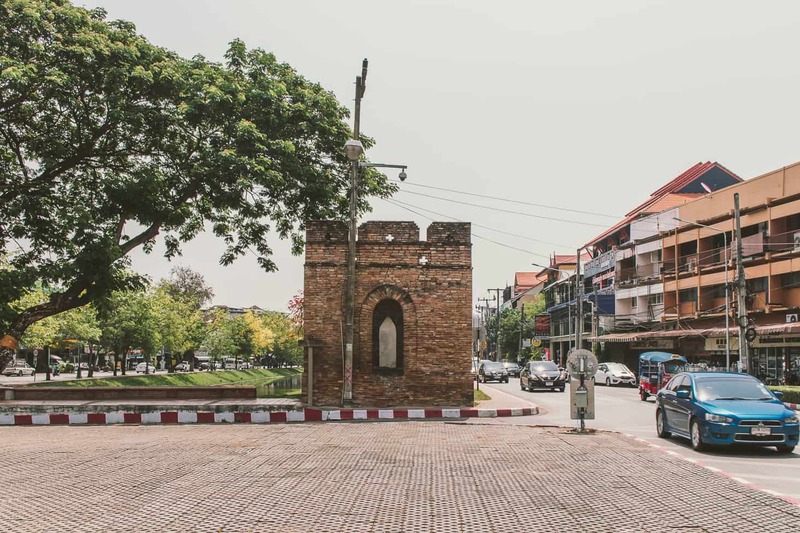 At the north of the city lies Chang Phuak Gate, considered the head of the city and was used by royalty. On the east is Tha Pae Gate, which signifies prosperity and is where many events and festivities are held. Suan Dok Gate, translating to “flower garden,” is to the west of the old city and leads to the famous Wat Suan Dok. The south has two gates, Chiang Mai Gate and Saen Pung Gate, which was commonly used to transport the deceased out of the city. Make sure to snap a photo of these iconic gates as you meander around the city. Take a break from the city and surround yourself with nature at the Queen Sirikit Botanic Gardens. You’ll feel like you’ve been transported to the Palace of Versailles when you visit these manicured gardens. Make your way through the trails and check out the organic farm, museum and the eight greenhouses, where you’ll find an abundance of colorful flowers and exotic plants. Be sure to walk on the Flying Draco Trail, the longest canopy walkway in Thailand offering a unique perspective of the flora and fauna at this park. Be wary, as this towering walkway isn’t for the faint of heart! 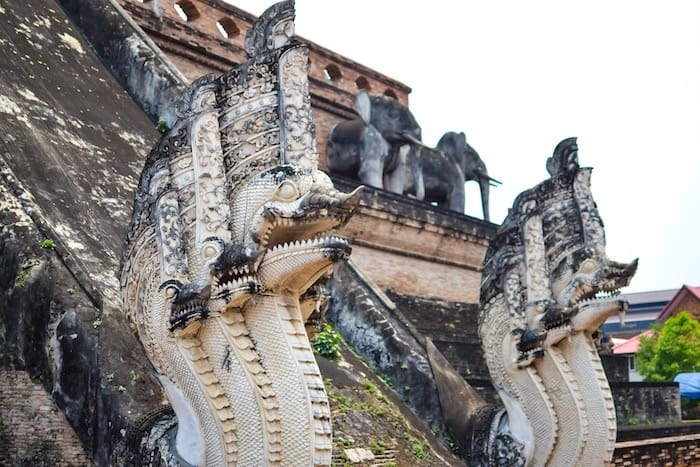 Did you love this article about the top things to do in Chiang Mai? Do you want to check out even more awesome articles that will help you make your trip to Chiang Mai a memorable one? 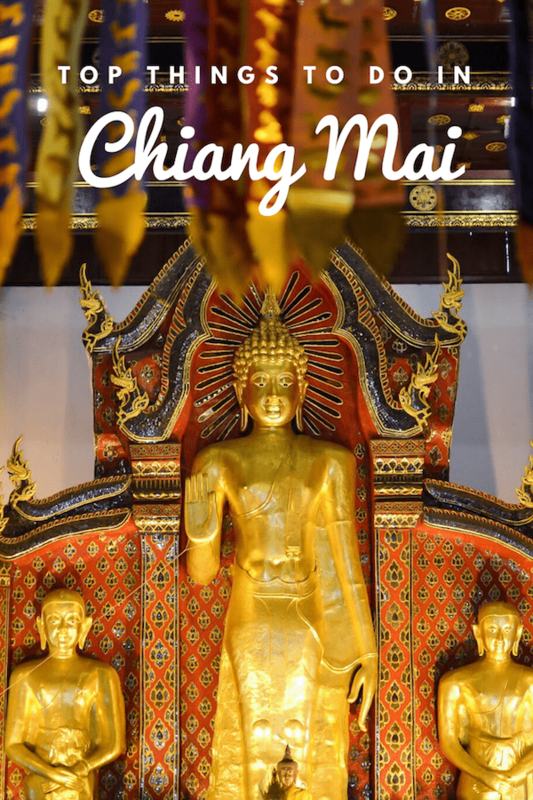 Then check out these articles we have rounded up, all about Chiang Mai. We only recommend articles we read and love ourselves, as well. Enjoy!